Labour moving the goal posts again? What needs to be remembered about social media, in fact about any online media, is that once it is out there, people will have copies of it. 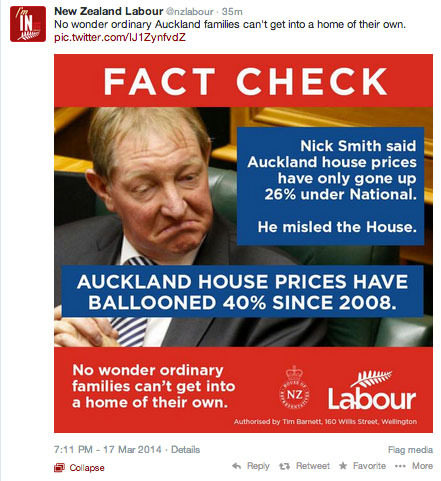 Now, it looks like Labour realised that “since 2008” could be read to include any price rise while they were in office. Hence the change to “in the last 5 years”, which places it firmly in the time National have been in power. However, it could be looked at as Labour moving the goal posts. Previous Article← A breach of Parliamentary Service Guidelines?